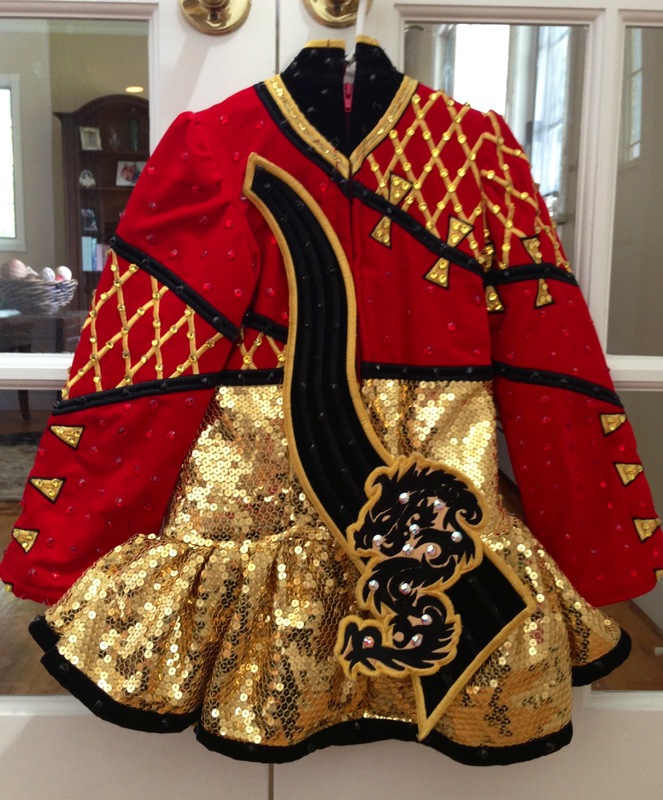 This stunning Celtic Star championship dress was made in October of 2012. The bodice is made of a rich cherry red velvet and complimented by a gold sequin skirt and adorned with hundreds of Swarovski crystals. 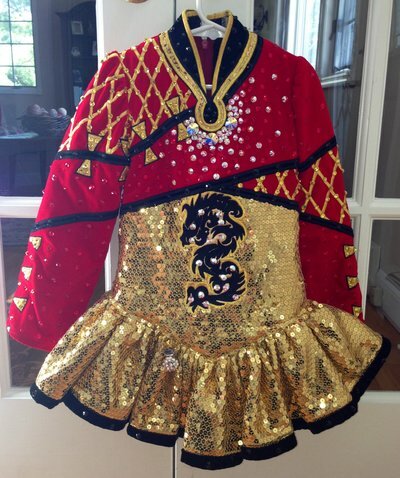 The dancer who wore it is a petite u10 World Qualifier. The dress is in excellent condition and has been maintained in a smoke free home. The dress comes with gold kick pants. 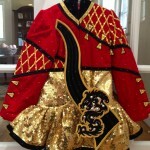 Asking Price: $US950.00. Shipping costs are included for my own country, overseas shipping is extra. Will accept returns and refund the cost of the dress, buyer to pay all shipping costs.